Are you using Huawei Android smartphone or tablet? Are you looking for a way to connect your Huawei Android device with the computer without using the HiSuite provided by Huawei for their customers? If yes is your answer, then you are in the right place. Download Huawei USB drivers from here (based on your device’s model number), install it on your computer and connect your device with it successfully today. By downloading and installing the Huawei USB drivers given here on your Windows-based computer, you will be able to connect your Huawei smartphone or tablet with PC or Laptop computer successfully. 1) Huawei officially provides all the USB drivers given here. So, if you encounter any issues while installing them, contact their support team. 2) If you would like to get rooting tutorials, firmware upgrade tutorials, stock or custom ROM installation tutorials, custom recovery installation tutorials, etc., for Huawei Android smartphone or tablet, contact us today with your Huawei device model number. 3) If you can’t find the USB driver for your Huawei smartphone or tablet on this page, drop a comment below. We will add it here as soon as possible. 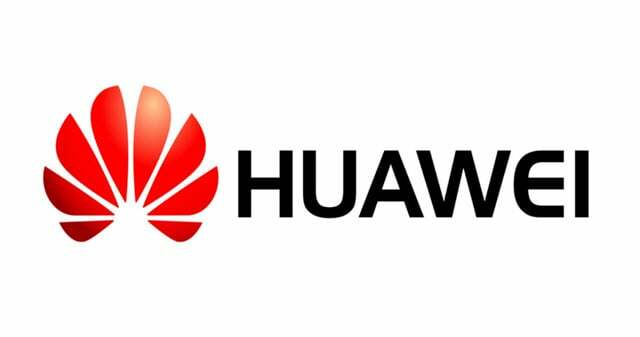 4) If you have bricked your Huawei device, download Huawei stock ROM firmware and flash it on your smartphone or tablet to unbrick it. i have a huawei p9 lite, and received a dual usb , however i cannot access the drive on my phone, i have also downloaded the sandisk memory zone app which still doesn’t recognize the drive. i do not see any drivers above for a p9lite. Hi, I have added the driver now. Download and install it in your computer. The USB driver of Y330 will work for your device. huawei y5 II not on the list..
Added driver for your model as well as Y6 II model! Pls. I need the drivers for Huawei Ascend Y560 U02. Thanks. i need p8 lte drivers, which is not in the list. The driver for your device is already given in the table above. Check for Huawei Ascend P8 Lite. Do u know where I can get the usb drivers for Huawei Y3 ? It is listed as Huawei Ascent Y300. Huawei Y5ii (CUN-U29) no root apk working, i alao tried pc version of some root apps. i already installed, but still not working/recognize my phone? how can i fix it? can you add driver for huawei y3ii? But how to use it, because when I open it I see an error? What about huawei scl l21? Need usb driver for Huawei for ubunut machine. tengo muchos problemas para root el huawei Y5 II cun 29. nada funciona. Pueden publicar un tutorial de como hacerlo? Huawei Y538 Has’nt a driver download. Any instructions on this model? huawei y538 isnt on the list. any help out thre? haawei p8 lite drivers is not in this list.please can u help me? Huawei scl-u31 is not in this list….plz help me..
Can you help me or give me the official link to download the usb driver for that device ?? driver for my stupid honor 5c? do you have it? cant even put music on my phone with usb! thanks. i wont be buying one of these again. will you add huawei y7 ? i dont see it here. Hi! I really need Huawei Y5 2017 (MYA-L22)’s Driver. Hi, above you said that the USB drivers for the Huawei Ascend XT – H1611 were added. I have been through the list twice and cannot find drivers with that model’s name and number. I also went to the Huawei.com site and didn’t find it there either. I’m obviously missing something but am still lost. Anyway you could give me specific location – counting down numerically from the top or something to aid this old man’s eyes? I’m sorry to be so obtuse! Hi! Thanks for this post! I have a P8 Lite ALE-L21. and I don’t find the driver on this list. Can I use the ALE-L04? Where can i find the driver to CAM-L03C212B126?.. Huawei P8 Lite 2017 – pra-lx1 ! disculpe mucho la molestia solo quiero saber si el controlador del Honor 4c funcionará en mi G play mini, me dicen algunos que es el mismo teléfono solo que cambian en 3G/4G . Agradeceria mucho su respuesta, gracias. Would it be possible to upload the driver for Huawei Y6 II Compact LYO-L01? can you provide me download link. IHi, Iam looking for usb driver for HUAWEI model CUN-L21,versionCUN-L21C577B120.Can you help me? Huawei P smart driver please ? Hi, It’s working properly for us. Hi, can you add Huawei G7-L01 ? Can you post the usb drivers for huawei mate 1o lite? Hi there! Can´t find LYO-L21 in your list,pls help. bestaat er een usb otg drive voor een huawei GT3?